Start my 15-day full-feature trial! 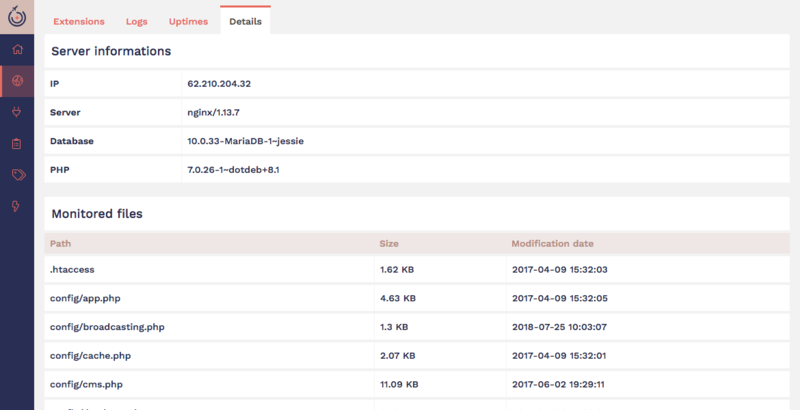 Eliminate the pain of managing module updates across multiple sites. Know exactly when new versions are available and log a central history of all updates. Receive automatic notifications when config files are edited or when PHP / Database / WEB server are updated. 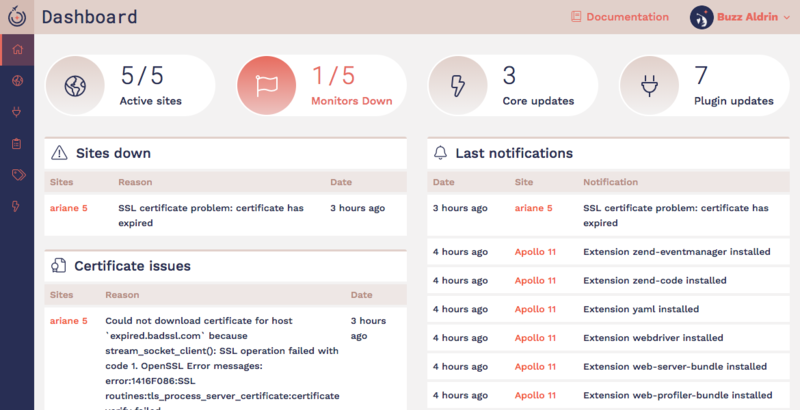 Get instant notifications about downtime and fix it before your clients even know it’s an issue. Keep track of certificates across all your sites and set reminders of their expiration dates. Automatically send scheduled test emails to the 1Pilot system to check the spam score, plus SPF and DKIM records. Be notified as soon as there’s an issue. Central error logging means you see issues as they happen and quickly spot patterns across sites. Get notified as soon as there’s an issue. Enjoy the power of 1Pilot for 5 sites or 500 - it’s as simple as paying per site, per month. No set-up fees and no long-term contracts. Recurring payment with Visa, Mastercard or American Express. 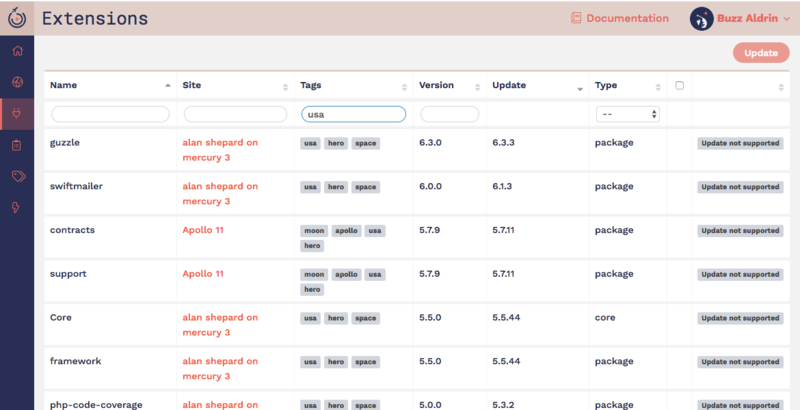 1Pilot is a website monitoring tool built with those who love to code in mind. We’ve kicked off with Laravel, Symfony and OctoberCMS and will soon add support for additional CMS and frameworks. Not right now, but if you would prefer to avoid multiple transactions on your account, you can contact support and we will charge your card with a fixed sum to use as credit. Can I access my sites details via an API? Can I monitor websites running on other platforms with 1Pilot? Yes. You can add sites built on CMS/frameworks other than those supported by 1Pilot, but the service will be limited to uptime monitoring and SSL certificate monitoring.